Letter to a Child Never Born is a powerful novel about a woman expecting a child. Believing that motherhood is a personal and responsible choice, not a duty, Oriana Fallaci shares with the reader the conflict of emotions and desires at the core of every woman’s existence. Letter to a Child Never Born (Italian: Lettera a un bambino mai nato, 1975) is a novel by Italian author and journalist Oriana Fallaci. It is written as a letter by young professional woman (presumably Fallaci herself) to the fetus she carries in utero; it details the woman’s struggle to choose between a career she loves and an unexpected pregnancy, explaining the how life works with examples of her childhood, and warning him/her about the unfairness of the world. The English translation was first published in 1976. At the end of the English version, the woman has a miscarriage. The book sold four million copies worldwide. As of January 2007, it is out of print. Fallaci was born in Florence, Italy. During World War II, she joined the resistance despite her youth, in the democratic armed group “Giustizia e Libertà”. Her father Edoardo Fallaci, a cabinet maker in Florence, was a political activist struggling to put an end to the dictatorship of Italian fascist leader Benito Mussolini. It was during this period that Fallaci was first exposed to the atrocities of war. 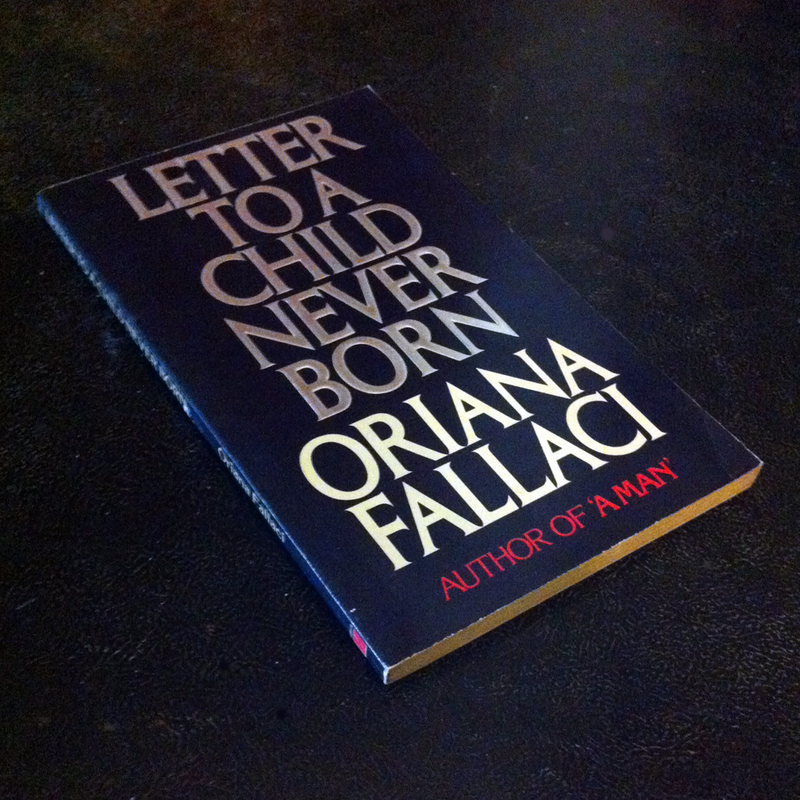 You are currently reading Oriana Fallaci: Letter to a Child Never Born (1975) at IvyU.